I have a tween that has been asking for a bedroom makeover. I’ll be honest – I don’t have a decorating bone in my body! I know what looks nice and what I like, but I have ZERO ability to recreate it or know how or where to place anything in my own home. My biggest issue is that everything we find online, is in a bigger or a staged room than what we have to work with. I also do not know how to mix patterns or colors. (Sadly, this goes for clothing too, which is why my closet mostly contains blue, black and gray…) We looked for a couple of months and my daughter just couldn’t the right look for her small bedroom. Here is what it looked like when we moved in! She finally decided on this room, but honestly, I knew she wouldn’t be happy in it. Plus, we couldn’t seem to find the right pieces in the right shade of yellow. We had the room painted a light gray with bright white trim and found the same bed shown, at Ikea. The next few months were spent looking at everything yellow we could find and failed miserably! 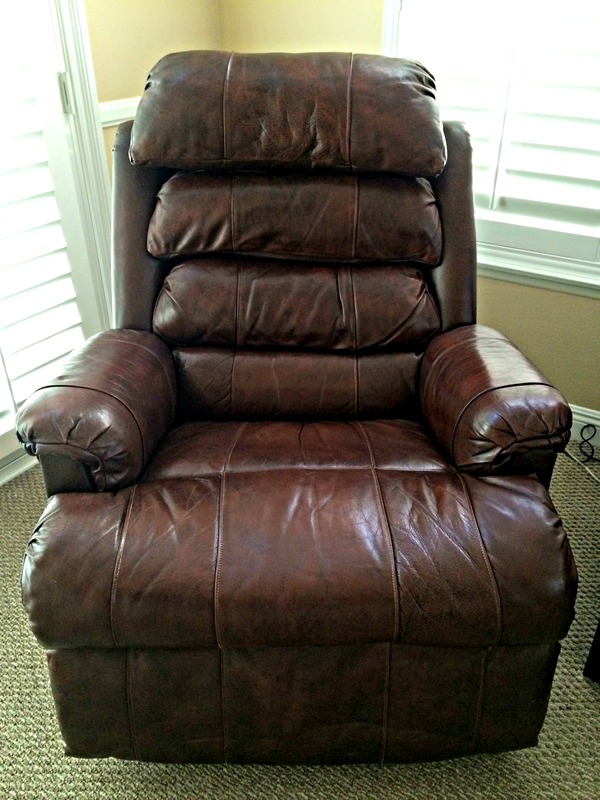 One day I was talking to my friend Claudine, of Classic Coverings about an old leather chair that needed some repair. The conversation drifted toward my daughter’s room and long story short, she offered to help me decorate the room as a surprise! My daughter has always loved Claudine’s sense of style and said in passing one day, “Too bad she couldn’t help us with some ideas for my room. I know it would be perfect.” Little did she know…! 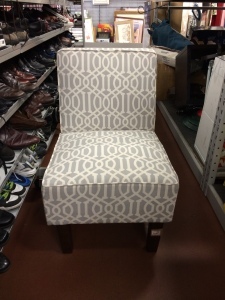 Before I forget, look at the amazing job Classic Coverings did with our old chair! We’ve had this chair for about FIFTEEN years! Its a great quality piece but between kids and pets, the stitching came loose in a few places and the “stuffing” was flat as pancakes! The whole thing had to be disassembled to properly sew the seems back together without damaging the leather. It looks every bit as great as the day it was delivered! So back to the room. Her is what it looked like Before we started planning. As you can see, she didn’t know what she wanted or what color she was going to incorporate. Shopping day was coming and I was so excited that I was going to burst! I wanted to tell her so bad but I didn’t want to ruin the surprise! A couple of days before, I happened to go to Goodwill looking for some old board games for a school project. 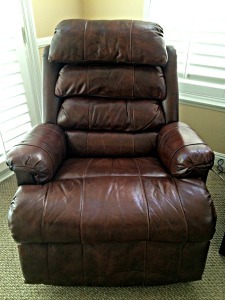 On my way out, they brought out a brand NEW chair and I had to have it! It was only $50 and though I was wishing it was like $30, I knew that I had to get it! The one thing I knew for sure was that my daughter wanted pretty white bedding and though she found a duvet set at Target, I found another one online that included 3 throw pillow and it was less expensive. Her dresser has a “window” on the top drawer. This is her sock and undergarment drawer and it was very unsightly before. 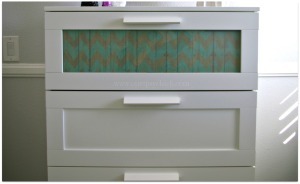 Last minute, I decided to find some scrapbook paper to conceal the contents of the drawer. I noticed now that I’m posting the photo, that I forgot to tape it down and the chevron design is no longer aligned. Oops! And this is what she found inside! She was THRILLED! It was better than she ever imagined it would be and I couldn’t agree more! 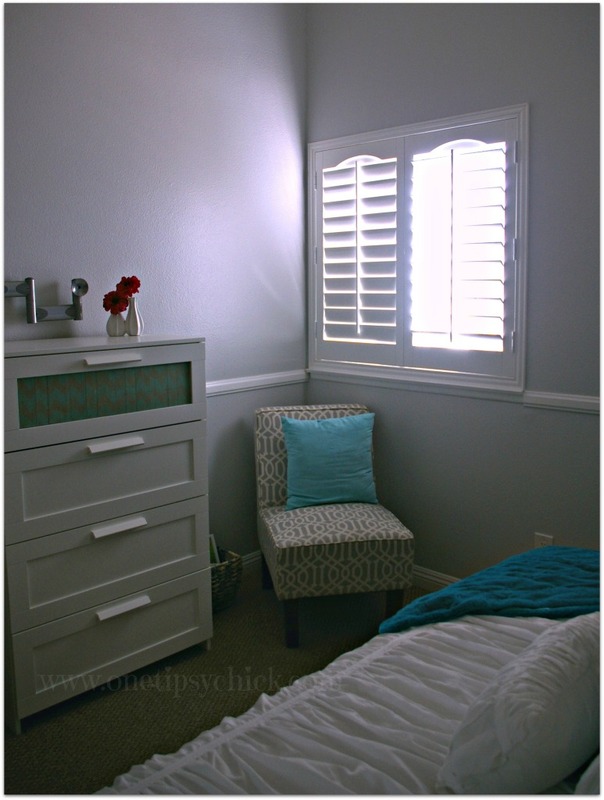 She wanted a grown up room that was pretty, feminine and cozy. I have to admit that I never would have even come close if I tried to do this myself. I never would have looked at anything with brown and yet it worked incredibly well! We saw many of these items in the store and never gave them a second look. You can mix several shades of the same color family. Who knew?! 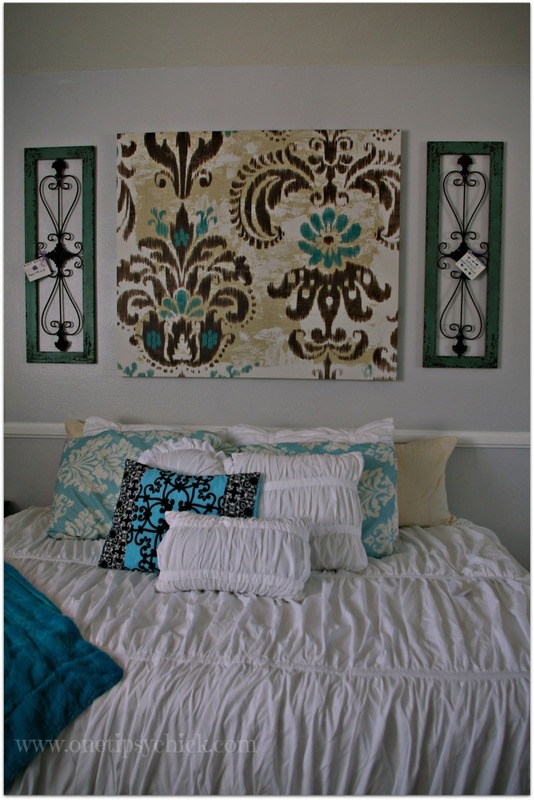 You can also mix patterns that are not too busy, if they are in the same color family. Don’t be afraid to mix textures, fabrics and styles. 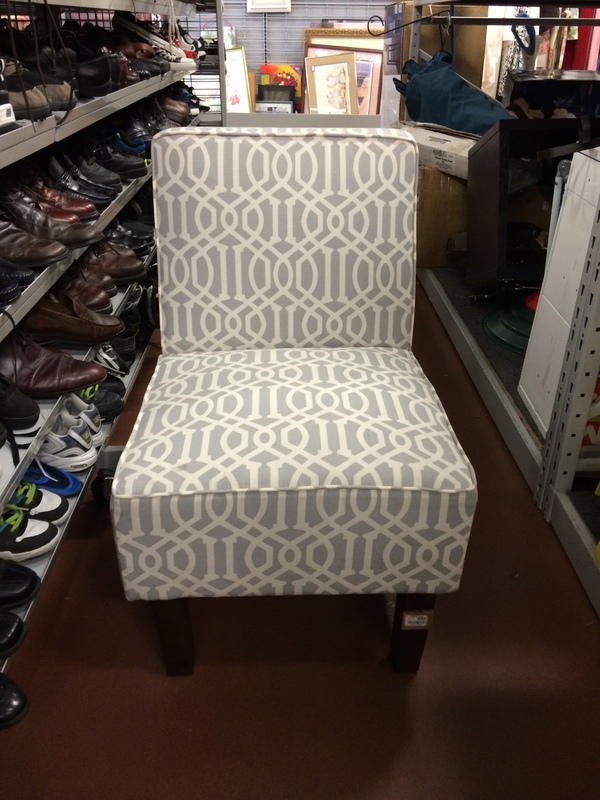 They can add visual interest to your space. Be open minded and not so quick to reject pieces. You may be very pleasantly surprised at how well they fit! What a pretty room! I love the wall art. Here room looks lovely. Great transformation. I love it! What a great surprise! The colors are pretty and sublime – perfect for a bedroom! Cheers to Claudine and YOU too! It came out awesome! Great job! I have to say, the Mario themed room would be my son’s dream come true! When we first assigned the rooms, she was mortified and pleaded to have it painted before we moved in! I’m a big fan of the colors! Beautiful ideas! Her room is so pretty!! 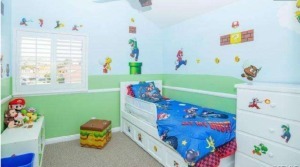 My son just became a full fledged teen and needs a room makeover too. He has that same bed from Ikea. I love that it has the drawers underneath. I’m impressed with how little you spent to get such a “Wow” result! The room looks great! I bet your daughter loves it! 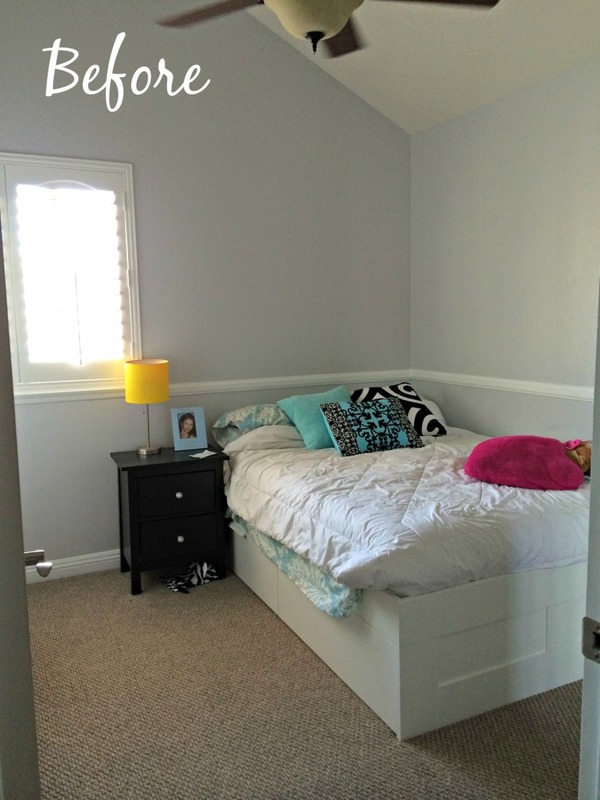 My twin tweens just got their own rooms over the summer — they shared up until now. One room is coral and pink, and the other is blue and yellow. 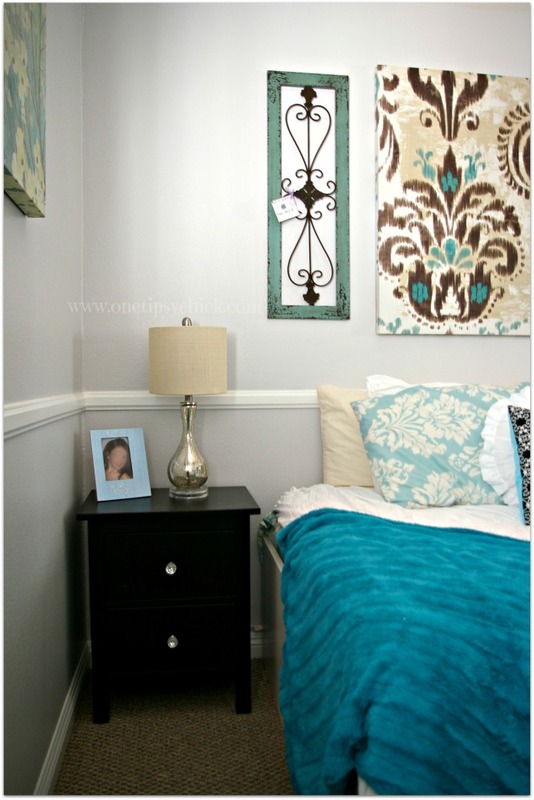 I plan to share the room reveals on my blog (Mom Home Guide) soon! I would love to see the reveals! I love the way her room turned out. I redecorated my daughters room in zebra print and turquoise. She loves it. I love zebra and turquoise! 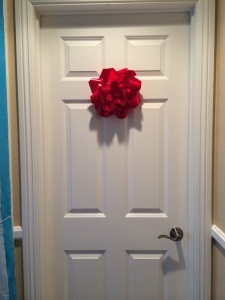 It looks great and what a sweet surprise for her! You did a great job! 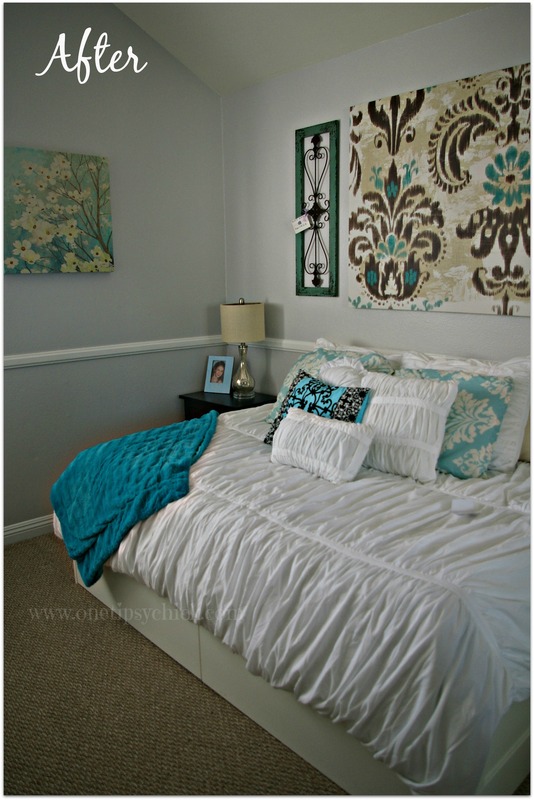 I love looking a room redo’s. Really impressive.